Welcome to the Eater 38, the answer to any question that begins, "Can you recommend a restaurant?" While the Eater Heatmap covers the newest and hottest eateries, this specially selected group covers much of the city, spans myriad cuisines, and aims to collectively satisfy all of your restaurant needs. Every couple of months, Eater adds pertinent restaurants that were omitted, have newly become eligible (restaurants must be open at least six months), or have stepped up their game. Picking the best burger in America is impossible. There are just too many variables — from bun texture to sauces to cheese choice to the varying patties. There are a few things we think a great burger needs, like a soft buttery toasted and slightly sweet bun, then someone throws a burger on some fry bread and all bets are off. Fact is, burgers contain multitudes. They can be amazing with melty and very processed American cheese and with crumbly piquant blue cheese. This year, we have more geographic range than ever before, reflecting how fantastic wine and food are reaching every corner of the country. We’re loving spots in smaller cities that are impacting their communities; precise, tightly focused or seasonal wine lists; and the celebration of diversity and inclusion proliferating in the restaurant industry. We’re also continuing to see fine dining in less formal environments, while service—especially wine service—is becoming more thoughtful and refined. We seem to say this every year, but there’s never been a better time to drink and dine. Welcome to the Eater 18, your answer to any question that begins, "Can you recommend a restaurant?" This elite group covers the entire area, spans myriad cuisines, and should offer something for every occasion or craving. Every few months, Eater revisits this list and adds restaurants that were omitted, have stepped up their game, or were too new to be included. Like fashion, the world of restaurants is constantly changing with the times, with trends rising and falling over the years that alter what we eat and even how we eat it. As we celebrate our 30th anniversary of our Best of the Best awards, where we recognize the top places, products, and people from the past year across everything Robb Report covers, we wanted to step back and see which restaurants have left the most indelible mark on the food scene. It’s no secret that Charleston is a foodie capital of the South. Within the past six months alone, over 50 new restaurants have sprouted across the tri-county area. While some of these eateries are chef-owned, a pop-up residence, or even a mere dabble in running a brick-and-mortar, several are the brainchild of well-established restaurant groups, looking to expand their empire. t’s no surprise here that this year’s Best New Restaurant is Husk, Sean Brock’s fourth iteration of the Southern restaurant with an eye towards local ingredients. While it’s easy to claim that Husk’s restaurant style is changing the culinary scene in Savannah, the team behind it doesn’t jump to that conclusion. Wrap up the day with dinner at Husk, which offers an ever-changing menu of refined Southern plates and top-notch hospitality. A friend once said to me, “Oh, you were just in Charleston? That’s a place I’d take my Mom.” Ouch, dude. I just told you I went there with my wife. But I knew what he meant. The most beautiful city in America has a reputation for being popular with the olds and the foodies, and especially the old foodies. That reputation was not unearned. It is, however, badly outdated. McCrady's is in rare company as a newly anointed AAA five-diamond restaurant, a designation that only .2 percent of the 31,000 restaurants inspected by AAA receives. After a visit to the Charleston restaurant, a AAA inspector noted that McCrady's offered an eclectic and unusual experience: "This is my kind of interactive experience- exciting top-quality cuisine paired with excellent wines. All prepared right in front of you." Few are the evangelists who call cooking their mission; fewer yet are the chefs with the sobriquet “farmer.” Sean Brock owns both these monikers: a birthright bestowed by his grandmother, Audrey Morgan, as young Brock toiled by her side both in the garden and kitchen growing up in rural Virginia. She was the chef’s first teacher—a woman who knew the seasons, the land, and the ingredients. In her kitchen, he studied and nourished his love for food. When I was considering a move to Charleston to edit a new magazine called Garden & Gun in the summer of 2007, my wife and I went to McCrady's restaurant, just off East Bay Street, which was helmed by a young chef named Sean Brock. Having been spoiled by New York restaurants, we weren't expecting much, but it was hard not to be charmed by the entrance on a tiny cobblestoned alley, the long walnut bar, and the brick arch that framed the entrance inside. Aaron Franklin is working on a new barbecue joint in partnership with one of the most popular restaurant groups in Austin. Dominique Crenn is cooking up a wine-fueled ode to French classics, as America’s renewed love affair with la cuisine Française continues apace. Charleston celebrates, and almost worships, the bounty of its surroundings: from freshly-caught blue crabs to grains milled on nearby Edisto Island. The city by the sea sits below the Sandhills, the original coastline of the ancient seas across the Carolinas, and is therefore often referred to as the "Lowcountry." So what’s the secret to the burger at Husk, Sean Brock’s Charleston landmark? Bacon ground right into the patty. Brock has been on a personal quest to perfect the burger, and after eating his cheeseburger you’ll most likely agree that he’s achieved his goal. House-made buns are steamed, sliced, toasted, and smeared with butter and beef fat. The two patties are a blend of chuck and hickory-smoked Benton’s bacon, seared on a ripping-hot nonstick griddle and scraped off to retain their crust. The toppings? Three slices of American cheese, shaved white onions in between the patties, bread-and-butter pickles, a "special sauce" that closely resembles the one at In-N-Out, and lettuce and tomato only when they’re in season. Sean Brock: in relentless pursuit of burger perfection. You: lucky. Find more details on Husk here. In what some are grandly declaring the most anticipated opening in savannah’s culinary history, husk has arrived. here, chef and partner sean Brock and chef de cuisine Tyler Williams (of atlanta's abattoir and Woodfire grill) chat about their plans for this fourth and largest outpost of Brock’s celebrated Lowcountry restaurants, set to open in mid-December in an iconic Colonial Revival at 12 W. Oglethorpe ave. Just wait until you see what they’ve done with the place. If you take a trip down Unity Alley and have a meal at McCrady’s Tavern, you’re taking part in an experience shared by some of histories most influential people. This establishment on East Bay Street was founded hundreds of years ago by a man named Edward McCrady. With an ocean and two estuarine rivers lapping at Charleston’s hem, it’s no surprise that this lively, historical city in South Carolina is awash in seafood. But that piscine bounty is only half the story of low-country cuisine, which also leans heavily on regional crops to create the staples that still anchor many a Charleston menu — shrimp and grits, hoppin’ john, she-crab soup, okra and rice-based pilaus. Today, an infusion of bold chefs are building on the old recipes passed down from Gullah slaves, and it’s tough to walk far — and walk you should here, to take in the architectural and natural beauty of the city — without melting in the aroma of a locally famous restaurant. Curiously, this historic Deep South town consistently tops polls as Americans' favourite city. With perfectly preserved antebellum mansions and quaint cobblestone streets, it sure is pretty - but it's the thriving food scene that gives Charleston real bite, mixing up sensational seafood with a hefty dose of down-home comfort fare. When chef Sean Brock (of Husk fame) decides to turn his attention to casual Mexican fare, you know the end result is going to be spectacular. And at Minero, it is. Queso fundido, tacos al pastor, pork carnitas with salsa verde and seasonal carnitas, roasted shrimp tacos with cucumber-jicama slaw and salsa morita … no matter what you order, you can’t go wrong. And just to remind you that this is a Sean Brock restaurant, the menu’s lone burrito includes hoppin’ john, and you can order Carolina Gold arroz rojo on the side. Not so long ago, a young woman walked into a doctor’s office on the newly fashionable upper peninsula of Charleston, South Carolina, and approached the receptionist: “I have an eleven o’clock reservation,” she said. In Charleston right now, it’s easy to think the whole world is your raw oyster bar. Minero’s bartenders took a classic margarita and delivered a signature drink that can be ordered frozen or on the rocks. It uses the Charleston-made JAM Pineapple Vinegar and tepache, an iconic Mexican beverage produced by the Argus Cidery in Austin, Texas. Fermented pineapple rinds, cinnamon and piloncillo are used as the base for the tepache that has been compared to an agua fresca, sour beer or fruit wine. Often described as a living museum, everything in Charleston has a story to tell. From the cobblestone streets and antebellum homes to the spate of new boutique hotels that dot its storied corridors, the "Holy City" (named after the city's many churches) has come a long way since it was settled in 1670. Charleston has idyllic antebellum architecture, stunning harbor views and charming cobblestone streets but a trip to Chucktown is really about the food. For such a small geographic area, the peninsula and its surrounding islands pack a huge culinary punch. The city is full of Beard award-winning restaurants and even more Beard nominees. Here’s how to strategically pack in a week's worth of quintessential meals in just one day. A new format offers 12 courses for $125, plus $85 for wine pairings at this 22-seat restaurant. Guests are greeted with a Champagne flute and depart with a gourmet goodie bag. Change is never easy. Edward McCrady could have told you that. He happens to be my fifth-great-grandfather (but my affiliation with the restaurant McCrady’s ends there). He broke with convention, pursuing a Scottish lass across the Atlantic when her disapproving parents shipped her off. The young lovers eloped to the British colonies and settled in Charles Towne. There is no disputing that Nashville is a food city. If you’ve had a pulse in the last few years, you’ve noticed the national media abuzz about the victuals in the city where Coach Taylor’s wife moved to become a country music star. But putting aside the hot chicken and all those meat and threes, I wanted to know: Is Nashville a burger town? Every over-imbiber’s best friend, the Bloody Mary is a restorative tonic of the highest order. But the savory-spicy cocktail is also an ideal template for mixologists to riff on. We’ve found America’s very best versions of the beloved drink—made with caramelized veggies or tomatillos or cucumber and miso; spiked with vodka or white whiskey or mezcal and tequila. The world is in love with Charleston: the antebellum mansions, the cobblestone streets, the mild climate that might bring 70-degree days in February, the scent of tea olive trees that floats in the air, the orchestra of church bells that crescendoes on Sunday morning, the day drinking. The fifth course on the tasting menu at McCrady's delivers a single Virginia oyster. It arrives in a bowl filled with smooth round rocks draped with clumps of green kelp, a cloud of steam swirling up and enveloping it all. You get just one sparkling bite out of the whole display, and the sensations begin before you even raise the oyster to your mouth. The fresh, wet aroma of the sea rolls up from the steaming kelp, merging into a briny punch when you bite into the oyster and ending with tart sparks from tiny finger lime orbs that pop like caviar beneath your teeth. The restaurant world is stuffed with best-of lists. We don’t need another. What constitutes an amazing meal is different from person to person, night to night, so it’s a bit silly to pronounce one dining room (or 50) the best in the world. Almost immediately after the final dinner service at the restaurant that Charlestonians for a decade had known as McCrady’s, the demo crew showed up. The plan was to purge the room of the ponderous touches which signaled that it was a Very Serious Place to Eat. Reinvented as McCrady’s Tavern, the restaurant would have more air, more light and chandeliers that didn’t look as though they were wrested from a Bavarian smithy. My job as Eater’s restaurant editor is to travel the country year-round. (Greatest gig ever.) At each destination — whether I’m reviewing a specific restaurant in Los Angeles or Indianapolis, or gorging my way through the astonishing breadth of Houston’s dining scene, or writing about the Vietnamese cultural influence on New Orleans — I’m also deliberating over which places to include on this annual list of 38 restaurants. It’s the cornerstone of my work, the culmination of my calendar. This 18th-century tavern frequented by George Washington is where famed chef Sean Brock first came to national attention, and it remains a peak of Southern fine dining. The list covers every corner of the globe and encourages discovery, with over 25 glasses in 3- or 5-ounce pours, an extensive ‘reserve’ glass list and more than 20 dessert and fortified picks. Thanks to a potent blend of local pride, Southern hospitality, elbow grease and charm, there’s no stopping the world-class restaurant scene in Charleston. And over the last five years or so, the city has attracted a bevy of national accolades as well as droves of young culinary talent flocking to the Holy City to be a part of its big moment. Accordingly, it’s high time we honored some of the young folks making the food scene in Charleston so exciting. From rice planters to sommeliers to oyster shuckers, the honorees of our first-ever Charleston 30 under 30 list have the passion, the skill and the dedication to make an already robust culinary culture even better. Although country music is in the air, all kinds of music are written, recorded, and performed in Nashville, where there’s a collaborative |spirit—and a lack of pretense—that we can only wish existed in Washington. Sean Brock is averaging five hours of sleep a night — opening a restaurant will do that to you. On September 29, Charleston's most widely acclaimed chef will release a restaurant that encompasses his entire oeuvre: from the molecular gastronomy of his early days at McCrady's to the Southern-first Husk style that made him a household name across the nation. Brock launches the 18-seat version of McCrady's on Thursday, and it feels a bit like he's opening his life to his guests. This is the food he was meant to cook, in his own words the “most intense food” he's ever created. Here, Brock gives Eater some early insight into the dining room that's on the cusp of changing the dialogue of Charleston's dining scene. It seems that not a week goes by in Charleston without a new restaurant popping up that promises to be all the rage. Some live up to the hype and others shutter as quickly and quietly as they opened. In the name of research, we tried all the newest restaurants that have opened in 2016 to find which ones you should actually add to your must-try list. It's the most wonderful time of the year for restaurant openings. The fall season, generously defined by Eater as everything from September through the end of the year, is a time for blockbusters, a time for "summer openings" to still debut before city-dwellers scatter for the holidays, a time for tone-setting for the new year to come. As home to Rhett Butler, Fort Sumter, the fabled battery and perhaps the country’s highest concentration of magnolias and plantations, Charleston has always held a special place in the American imagination. But something has happened in the past few years that has given this small southern city a lot more than just sizzle, and made a complex, pivotal history seem almost like a footnote. The city is in the midst of a restaurant boom, and King Street has become the embodiment of a new, saccharine-free Southern charm: knowing, worldly, often cheeky. With the balmy climate, visitors can spend plenty of time outdoors year-round — either downtown or just across the river in the lovely lowcountry town of Mount Pleasant. Last year’s taco list went LOCO, so we’re back on Cinco de Mayo 2016 with more favorite tacos to add to your Southern Bucket List. My current top taco is… the Green Chorizo Taco at Minero. MinerologoSean Brock’s taco palace is equally good in Charleston (on East Bay St) or Atlanta (at the Ponce City Market) and worth getting in the car NOW to drive to the location nearest you. With Cinco de Mayo around the corner, tacos take center stage. Atlanta is overloaded with the classic Mexican snack, but sometimes it's best to look outside the city. Immigrant communities are thriving outside Intown, and whether ITP, OTP or sticking with that old standby, Buford Highway, the greater metro area offers an impressive array of styles and flavors both traditional and contemporary. It was late at night, when most tomfoolery breaks past the barriers of decorum. Sean Brock, the giddy, geeky boy genius of the chef world, was wearing a creepy Halloween mask, sneaking up on people at an after-party at the 2008 Southern Foodways Alliance fall symposium in Oxford, Miss. He would patiently wait until the relaxing friend would finally turn around and then give him that unexpected scare, his face ruddy with beer and laughter. On Mon. April 4 Sean Brock celebrates 10 years running McCrady’s kitchen. And to do so, he's hosting an all-star alumni dinner. His predecessors and apprentices, including eight McCrady’s veteran chefs, will all return to prepare a sold-out, eight-course, $125 meal. Chef Sean Brock (Husk, McCrady's) brings his take on Mexican fare to Atlanta at this Ponce City Market kitchen, a spin-off of his Charleston original doling out regional specialties like tacos and tortas made with local ingredients. Decked out in moody reds and browns, the casual space features a spacious patio and a bar crafting zippy cocktails. Perched at the confluence of two rivers and the Atlantic Ocean, Charleston has been a vital port city since its founding in 1670. For years, traders from the West Indies and England alike landed on its marshy shores, capitalizing on the booming cotton, rice, and indigo industries that made Charleston one of the most prosperous cities in the South. The city is also an architecture aficionado’s paradise. The Daily Meal’s 2014 American Chef of the Year, Sean Brock, very well might be the ruling king of Southern cuisine, which makes his Charleston restaurant Husk his throne. Named 2011’s Best New Restaurant in America by Bon Appétit, Husk, located right in the heart of Charleston’s beautiful historic downtown, celebrates heirloom indigenous Southern products like no other restaurant can: If it’s not Southern, they won’t cook with it, not even olive oil. Any Southerner who knows her grits needs no introduction to Sean Brock, chef at Husk (our Best New Restaurant in America in 2011), McCrady’s, and Minero restaurants in Charleston, Nashville, and Atlanta. Deputy editor Andrew Knowlton recently came back from the annual Charleston Wine + Food festival, where he caught up with Brock for our latest foodcast episode. There is a cannonball in my closet. It is small, as cannonballs go, roughly six pounds, a compact, rusty, Revolutionary War relic, pockmarked with age. It did not kill anyone, as far as I know, though I suppose it could have inflicted harm somewhere along its trajectory in 1780 from harbor to impact. Atlanta has long been considered the capital of the New South. It boasts the world’s busiest airport and 16 Fortune 500 companies. It is a black entertainment mecca. So many movies are shot here that people call it Y’allywood. For many years, if a non-Tennessean thought about Nashville at all, it was probably in the context of country music, health-care organizations, or the Swan Ball. All that still exists today—the Grand Ole Opry, the medical indus­try, and the old money—but none of it explains why, seemingly out of nowhere, Nashville has become the glamour capital of the South. While creative vegetable dishes continue to heat up as a trend across the country, there's no denying that American diners are still a steak-eating bunch, especially during the chilly winter months. And while steak cookery today isn't exactly reinventing the wheel (you still sear it, broil it, or grill it), chefs are being more responsible when it comes to sourcing their meat, with many opting for ethically raised, hormone-free cattle from a local source. Keep these top-notch cuts in mind for your winter travels across the 50 states. Charleston’s hot dining scene shows no signs of cooling off. From its famed Low Country roots to locally sourced, heirloom ingredients, these restaurants call to food lovers everywhere. It’s earned its well-touted title of bona fide chef-driven dining capital, so expect modern influences coupled with old-world heritage charm. Chef Sean Brock represents the past, the present and the future of Southern cooking. In less than a decade as executive chef of McCrady’s in Charleston, S.C., and Husk in Charleston and Nashville, Tenn., Brock has managed to turn a long-held perception about Southern food — that it is synonymous with fatty, bland and boring — on its hog head. When I set out last year to compile the first-ever National 38 list, a roundup of the restaurants that shaped and defined American dining, I faced a thrilling — if daunting — task. This year's job was no less ambitious: Just as the 38 lists on Eater's city-specific sites grow and change with their restaurant scenes, editors rotating out some quality restaurants and introducing fresh names to the roster, so does this one. There's no shortage of outstanding places in every tier of every scene that help answer the question, "What is essential dining?" Still, some kitchens speak more clearly to this moment than others. Welcome to the first-ever Charleston Eater 38, your answer and ours to any question that begins, "Can you recommend a restaurant?" This highly elite group covers the entire city, spans myriad cuisines, and collectively satisfies all of your restaurant needs. Every couple of months, Eater adds pertinent restaurants that were omitted, have newly become eligible (restaurants must be open at least six months), or have stepped up their game. It's time for another update to the Eater 18, your answer to any question that begins, "Can you recommend a restaurant?" This elite group covers the entire area, spans myriad cuisines and should offer something for every occasion or craving. Every few months, we will revisit this list and add restaurants that were omitted, have stepped up their game or were too new to be included. Good things are meant to be shared - a sentiment surely held firm by Nashville, Tennessee, diners after the assurgency of Husk restaurant (the first was in Charleston, South Carolina), which features Baxter's nimble but comforting Southern cooking. To be a great food city, it helps to have a large body of water nearby, a classic dish or three, and a population with a fondness for drink. Those are among my impressions after spending more than 60 days on the road this year, visiting more than a dozen destinations, then measuring them against a set of standards — for creativity, community and tradition, among other criteria — to come up with a Top 10 list of America’s Best Food Cities. For somewhere with such an amazing food scene, it’s strange how ludicrously difficult it can be to answer the question, “Where should we go to eat tonight?”. Perhaps if someone were to put together a simple guide showing the 20 best places to eat right at this very moment, and update it regularly to keep it on point... OH WAIT. We just did. Welcome to Eat Seeker. If your 'hood is on this list, congratulations, you’re probably gaining weight, as we made sure every neighborhood is fantastic to eat and drink in. And once we’d narrowed it down to our top 18, we examined two major factors to determine placement: 1) culinary history, and 2) what’s happening now. Anthony Bourdain dines with chef Sean Brock and Bill Murray in Charleston, South Carolina. "Anthony Bourdain: Parts Unknown" airs Sundays at 9 p.m. ET/PT. Music City is quickly rising in the ranks as a town known not only for its music, but for its growing food scene. New neighborhoods like 12South and East Nashville, which were first populated by trailblazers and hipsters, are now becoming more mainstream, bringing with them new restaurants, bars, coffeehouses, and local arts, all the while adding to the traditional music scene found along Broadway. We caught up with the super-busy chef—who this month opens Minero, a taqueria on East Bay Street—about his new cookbook, his latest tattoos, and how he unwinds. This iconic Southern town has no shortage of attractions, which is why it's a perennial haven for tourists. From historic homes and architecture, a thriving culinary scene, to its stylish locals, there are many reasons why T+L readers named Charleston the Number One City in America for 2015. Virginia native Sean Brock (Husk, McCrady's, Minero) hit the ground running after culinary school, quickly becoming executive chef at Charleston's McCrady's before opening two more restaurants: Husk and Minero. Thanks to the reputation of his Charleston, SC restaurant Husk, Chef Sean Brock is known as of the country's master of Southern cooking. The top-notch quality of the fried chicken at these 75 spots has won the hearts of our experts and Americans across the country. On the Trail of Charleston's Best Shrimp and Grits. It was a busy event evening in Charleston Thursday night. At the Belmond Charleston Place, supporters gathered to raise funds for the Emanuel Nine victims at A Community United. Meanwhile, at McCrady's, the restaurant played host to The Grand Gelinaz! Shuffle, an international chef swap of some of the biggest names in food. The James Beard Award–winning chef shares a recipe from his new cookbook. Right now, you can vote for your favorite new bars across the country for F&W’s inaugural People’s Best New Bars award. Tom Colicchio, Mitzi Gaskins, Sean Brock and Stephanie Izard share how they create loyal customers from the 2014 American Express Restaurant Trade Program at the Food & Wine Classic in Aspen. The People’s Best New Bars award, presented by Roca Patrón, is Food & Wine’s first-ever poll to rank the most incredible drink destinations in the country. You already know your favorite chefs by the foods they prepare and the restaurants they’ve created. Now, get to know a different side of these culinary masterminds in our weekly The Dish feature. It's Fried Chicken Fortnight: two weeks of hot crunchy chicken talk, recipes & chef tips. Here’s a Nashville story: we’re tucking in to authentic muhammara and makanek near the front entrance at Epice, a Lebanese bistro in the city’s up-and-coming Twelve South neighborhood, when the actress Hayden Panettiere—who plays the upstart young country singer in the ABC series Nashville—walks in. The Husk Nashville pastry chef is someone whose warmth immediately makes you feel at ease. From the first time we met at her East Nashville home, the soulful conversations easily flowed. Like myself, she constantly tries to find depth in every situation. Charleston, also known as “The Holy City” is South Carolina’s oldest and fastest growing city. The peninsula offers a culinary tour de force for foodies, a rich culture dating back to the Colonial era for history buffs, and an array of water activities such as kayaking and paddle boarding for outdoor enthusiasts. The first few months of the year are what's referred to in the wedding biz as "bridal Christmas," since so many women who received engagement rings on Christmas, New Year's Eve or Valentine's Day are suddenly in the market for dresses, caterers and reception venues. It's been just over three years since chef Sean Brock opened the doors at his critically acclaimed Charleston restaurant Husk. The restaurant is known for serving sophisticated food that celebrates Southern ingredients and culinary traditions. Brock opened a second location of Husk in Nashville this past May, while in Charleston the original Husk is as busy as ever. From iconic dives to underground dens, we've been keeping tabs on the South's top-shelf watering holes. Here are our (highly opinionated) 2013 picks. Striking decor and ambitious cuisine converge at these buzz-worthy new eateries around the globe. In our newly omnivorous nation, restaurant trends often have the same viral spread and short life span as boy bands — witness 2011's crispy pig ears and sea buckthorn berries. Eating around the country on reporting trips in 2012, I saw food lovers everywhere embracing new interpretations of farm-to-table and nose-to-tail as fast as they came along. Forget the focus on super-secret batter recipes. Star chef Sean Brock is hard at work trying to answer the question, "Just how many fats can chicken be fried in?" Brock's chicken, which is available by reservation only and requires 48 hours notice, is fried in butter, chicken fat, bacon fat and country ham fat. McCrady's is the oldest restaurant in Charleston, S.C., which in a pre-colonial coastal city means this establishment, on the National Register of Historic Places, can trace its lineage back more than 200 years and count George Washington as a past customer. Husk Restaurant has been named the recipient of the Carolopolis Award and the Robert N.S. and Patti Foos Whitelaw Award from the Preservation Society of Charleston and the Charter Day Foundation, respectively. The two organizations chose to acknowledge the restaurant based on its considerate preservation and renovations of 74 and 76 Queen St. to honor the history of the property, and the city of Charleston. The Neighborhood Dining Group, a restaurant management group that operates the award-winning Husk Restaurant in Charleston, S.C., has announced plans to open Husk Nashville in the spring. Chef Sean Brock, a James Beard Award winner and respected hero of farm-to-table and Southern cuisine, will lead the culinary team at the restaurant. News broke yesterday that James Beard award-winning chef Sean Brock (who dazzled the diners of Nashville before heading to Charleston, S.C.) is bringing the latest outpost of his hugely successful Husk Restaurant to our fair city. Husk, which was named No. 1 on the list of best new restaurants in America by Bon Appetit magazine in 2011, is known for its dedication to farm-to-table cuisine crafted using all Southern ingredients. For 2 1/2 years before coming to Charleston, Sean Brock honed his culinary skills as executive chef at the elegant Hermitage Hotel in Nashville. Next spring, the award-winning chef at the nation's No. 1 new restaurant in 2011, Husk in downtown Charleston, will return to his old stomping grounds in the country music mecca to set the table for another version of the critically acclaimed fine-dining establishment. John T. and I were discussing Sean Brock's arm, the one pictured above. "Five years ago it seemed like every chef in the South was getting a pig tattoo," John T. recalled. "Now they're getting collard-patch half-sleeves and cornfield full-sleeves. The vegetables depicted are heirloom varietals, of course." I have examined Sean's arm in person without touching it in any way, and you can clearly identify pink-striped beets, nicely trimmed baby leeks, little radishes, what look to me to be potato flowers (though I'm no expert on potato flowers), and an ear of corn that may just be purple. Insisting on anatomical accuracy, he took seed catalogs to the tattoo artist he had engaged for his full-sleeve job. 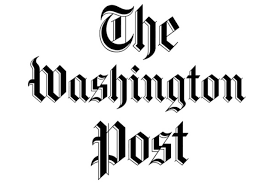 Read what the press has been saying about HUSK and McCrady's Restaurant's. An upbringing along the picturesque Norfolk coastline provided the perfect inspiration for David Howard, whose latest venture has been rated the best new restaurant in America. The 53-year-old admits that from the age of nine he wanted to be a chef and set himself the goal of letting his culinary skills take him from Norfolk to the rest of the world. 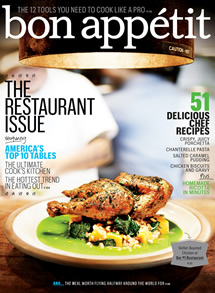 Bon Appétit magazine's September 2011 issue names HUSK restaurant in Charleston, SC "The Best New Restaurant in America," and prominently features Executive Chef Sean Brock's signature Skillet-Roasted Chicken on the cover. The issue spotlights the magazine's annual Top Ten Restaurants of the Year list. This honor comes as HUSK enters its eleventh month of business in a year marked by tremendous acclaim and media accolades—highlights of which include being named Best New Restaurant in the South by Southern Living (January 2011); a feature story by The New York Times restaurant critic Sam Sifton (February, 2011), and many others. It is all about the Pirate and his Ship! Known as the Queen Anne’s Revenge, Blackbeard, the Pirate, sailed the high seas and ravaged the North and South Carolina coasts! With the latest discovery of the anchor from the ship, it brings to mind one of the finest restaurants in the Southeast. Chef Sean Brock has a reputation. He chuckles about his collection of moonshine. It is no secret he is a fan of Kentucky bourbon; his friends include Julian Van Winkle of the Frankfort distilling family. He is a compulsive seed-saver, dissatisfied with today’s hybrid vegetables; he seeks out varieties long forgotten, grows them out, and then showcases their beauty, their taste, their sensuality at his restaurants. You never know where you're gonna find the greatest bourbon on the planet. Like last month, I was on a cooking team at a barbecue contest, and one of the guys on it with me was a pretty famous chef. His name is Sean Brock, and his restaurant, Husk, in Charleston, S.C., only serves stuff grown, raised or made below the Mason-Dixon Line. If you thought overfishing was making the high-end pescatarian meal extinct, think again. A new guard of chefs is creating a welcome breed of sustainable seafood dishes that are as eclectic as they are delicious, and serving them up at a slew of hot restaurants, raw bars, and urban fish shacks. Sure dad says spending time with you is the greatest gift to be had. But just in case he secretly hankers for an actual present, we pulled together gift suggestions for all kinds of fathers. Summer is upon us and that means heat, linen, and sunburn. But June also marks the beginning of the local tomato season. No matter how you pronounce it, tomatoes are a summer food staple whether they are sliced, diced, or rested gently atop a fat burger. This week, they were just beginning to harvest tomatoes out on Wadmalaw and Johns Islands, which means the freshest local tomatoes will be showing up on local menus this week. Sean Brock is a James Beard Award-winning chef famous for his revolutionary take on Southern cooking. He has two restaurants in Charleston, SC: McCrady’s, which combines classic Southern cooking with new molecular gastronomy techniques, and Husk, which focuses on regional food and draws from Brock’s roots in rural Virginia. Eater.com recently featured Brock’s perspective on the trend of bringing heirloom ingredients and cooking techniques into a modern era. Yesterday afternoon Sean Brock, chef at Charleston, South Carolina restaurants Husk and McCrady's, made time during his drive through the Appalachians to explain in some detail his goal of bringing back old southern cooking and ingredients. There was much talk of family — of grandma — and of the passion and rigor that mark the soft-spoken chef's "gospel." Why He Won: He's bringing attention to the importance of terroir by organizing his wines by soil types: alluvial, limestone, gravel and so on. "One of the first things winemakers talk about is soil. So for my list, I busted out my old geology book, looked up all the soil types and organized the wines by those categories." Like many of his peers, Clint Sloan got a job waiting tables after becoming a student at the College of Charleston. He worked first at Portside Cafe, then at Sticky Fingers, finally graduating into the world of fine dining at McCrady's in 1999. Sean Brock is a Virginia boy who attended the Johnson & Wales cooking school on this beautiful, historic peninsula where the Civil War began, moved around the South in apprenticeship, and in 2006 returned as the executive chef at McCrady’s, the city’s oldest restaurant. Late last year, amid a marsh fire of publicity that continues to roar, he opened a large and lavishly appointed new one, Husk, devoted to the excellence and promise of Southern ingredients. HUSK Restaurant was proud to win "Best New Restaurant" in the Charleston City Paper's "Best of Charleston". We also took home the following awards; Clint Sloan=Best Sommelier; Sean Brock=Best Chef; and Queen Anne's Revenge=Best Daniel Island Restaurant! Due to the overwhelming support of the community and the matching funds of The Neighborhood Dining Group ownership team, $24,000 was raised for the American Red Cross Haiti Relief and Development Fund between January 15 and January 30, 2010. McCrady’s, Queen Anne’s Revenge and The Buccaneer in Charleston and Chicago’s in Roswell, Georgia, all participated in the fundraising efforts. Sean Brock’s obsession with the South’s culinary heritage grew out of frustration. 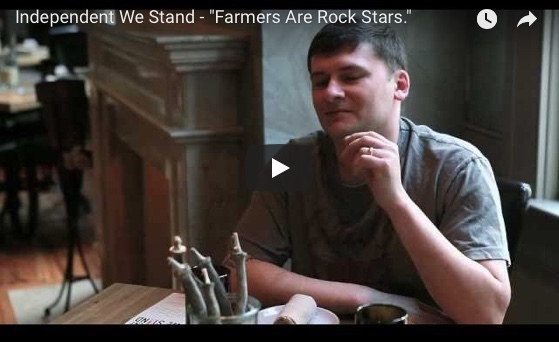 When he took over McCrady’s in 2006, he was unable to get the variety and quality of local food he wanted, so he decided to see what he could do himself. The archetype of what chef Sean Brock does best: heirloom Southern food prepared with a connoisseur’s sensibility and a deft culinary touch. “You sure you don’t want a cocktail?” Sean Brock, the executive chef at Husk Restaurant, proposed the question for the third time, and so it seemed I should finally accept. Brock, who was named the best chef in the Southeast by the James Beard Foundation last year for his work at McCrady’s restaurant (where he continues to serve as executive chef), recently opened Husk in a renovated house in downtown Charleston. It's safe to say that the opening of Husk has been the most anticipated and hyped of any new Charleston restaurant in years. The buzz around this venture from the Neighborhood Dining Group, which also operates McCrady's and Queen Anne's Revenge, has been driven by the growing celebrity of Executive Chef Sean Brock, who has headed the kitchen at McCrady's since 2006 and took home the James Beard Award for Best Chef Southeast in 2010. On Friday, without an intern to rely on, I spent the afternoon contacting chefs around town to find out what was on the specials menu for our weekly Eat This Tonight feature. It's really a bad idea for me to do such a thing. I'm far too easily swayed. A few text messages swapped with McCrady's Chef Sean Brock and I was already considering changing out of my pajamas (I work from home on Fridays) and heading downtown for a decadent plate of truffles and eggs. I had almost talked myself out of going when I showed my husband a picture of the dish, and he said, "Let's go!". Spearheaded by Executive Chef Sean Brock, Husk is a refined interpretation of ingredients sourced only from the South – in the words of Chef Brock, “If it ain’t Southern, it ain’t walkin’ in the door.” Leading the restaurant’s day-to-day operations is Chef de Cuisine, Travis Grimes. A native of Charleston, Chef Grimes has worked at McCrady’s since 2003, helping to elevate the restaurant to one of the most-watched establishments in the country. Chef Grimes runs the Husk kitchen and oversees the menu, working closely with Chef Brock to ensure the menu’s authenticity and commitment to traditional Southern techniques is upheld.